In my seven years with Strategic Programs, Inc., I have yet to come across a transportation organization that does not have an orientation for their newly hired Professional Drivers. The length of orientation varies from company to company, but the general idea is the same: classroom-style learning on a variety of subjects, usually taught by employees from different departments such as maintenance, benefits, settlements, etc. Throughout the orientation process, your new Drivers are being pummeled with information: how to enroll in the benefits program, how to get paid, who to contact for what, how to run the EOBR, etc. All this important information is critical for Drivers to know at some point during their career. 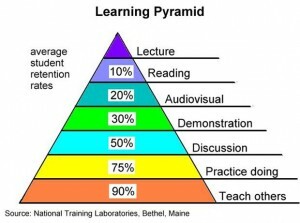 How much of this orientation training, however, are your Drivers retaining? Furthermore, what kind of impact could it have on their engagement if a Driver can’t remember what to do or how to do it when they’re on the road? 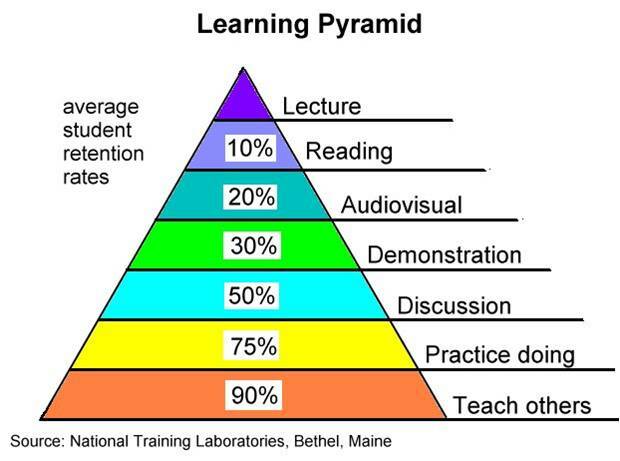 Where does the majority of your orientation fall on this pyramid? How much of the important information are your new Drivers retaining? Some of our clients administer a post-orientation survey, which usually asks Drivers which parts they liked about orientation, which parts were most helpful, and what could be done differently. One change I suggest in order to quantify and improve information retention is to give your new Drivers a different, more specific post-orientation survey. It might resemble a quiz, with questions like “Who should you go to if you have a question about your settlement sheet?”, or “List three ways you can make the most of your fuel.” Questions should be unique to your company and should target specific items that you would expect Drivers to know when they walk out of orientation. 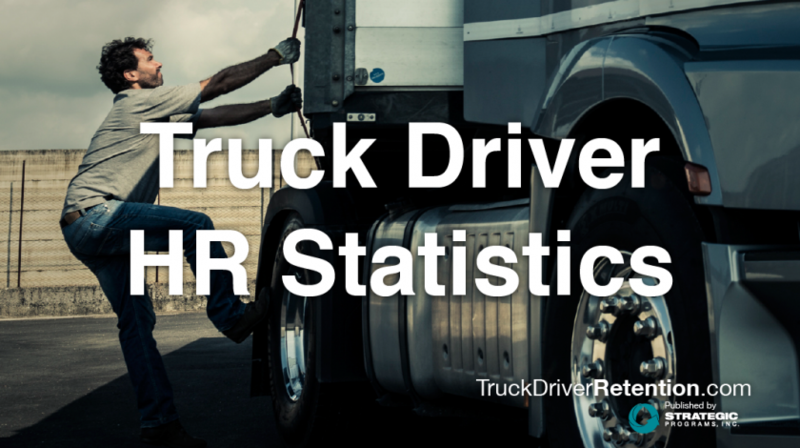 Communication around this survey is imperative – Drivers must know that they’re not being graded and that this survey has no impact on their employment with the company (and you’ve got to mean it). Let people know that this is just one more part of the orientation process in order to make sure orientation is set up in the best way for the success of the Drivers. If you have the manpower, have someone follow up with Drivers individually on questions they missed to ensure everyone has the proper information, or knows where to get it. If you don’t have the manpower for individual follow up, you can at least make adjustments to your orientation process based on the results of the surveys. Based on survey results, find out what information Drivers need most often and give that to them on a cheat sheet; tell them where to put it so that it’s easily accessible. Have the students teach a concept back to the trainer. Einstein said “If you can’t explain it simply, you don’t understand it well enough.” Find out if your Drivers understand something well enough by having them explain or teach it back to you. Have some real-life scenarios on hand that Drivers will face on the road. Practice by role-playing or trying some other hands-on learning techniques. Strategic Programs, Inc. has found that how well a Driver feels set up for success can have a tremendous impact on their engagement and likelihood to stay with a company. Using all of the tools you can to make orientation successful and beneficial can have a direct impact on your company’s bottom line.